Sourdough is amazing. And now I'm going to talk about cows. 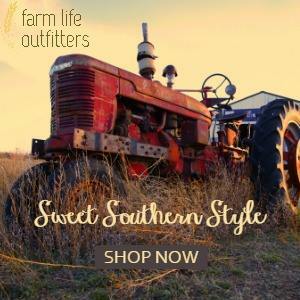 Well, cows eat grass and grains. Raw. Uncooked. But they have four stomachs for the grains to pass through to become digestible. A stomach is the body's organ that breaks down food for the intestines to digest and pass on to the rest of our bodies. So a cow, with four stomachs, does a lot of breaking down before it's food gets digested. Now, we humans only have one stomach. We cannot eat raw grass or grains and digest them. 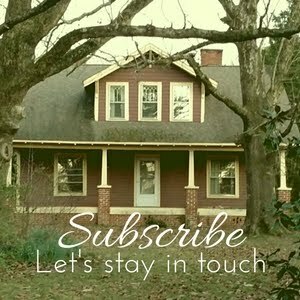 We need an outside source to pre-digest our grains. Eating white bread, or any kind of bread really, that is made with commercial yeast does not give us this benefit. Commercial yeast (a completely different kind of bacteria/yeast than sourdough) does not do this pre-digesting for us. So it doesn't really matter if you're buying whole wheat "healthy" bread, our bodies were not made to digest wheat or grains without outside help. Sourdough, which is wild yeast found in the wheat and air, does pre-digest the grains for us. It breaks down things like phytic acid and takes a long time to ferment. Those hours are spent pre-digesting the grains for us. When we eat sourdough bread, we are able to digest, absorb, and use the nutrients in grain. This is all a simple analogy, but it's what I've understood from years of research. (Although, I've never seen it compared to a cow.) So this is the biggest reason to eat sourdough bread. I really believe if there was some research done, we would find that as we ate less sourdough, food intolerances have gone up. But I don't have time to research like that. 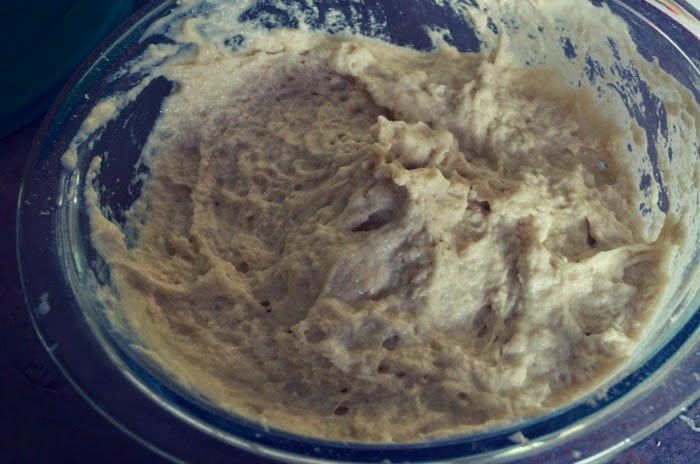 Sourdough is kind of like a pet you keep in the refrigerator. It needs food and water, but can sleep for a while. 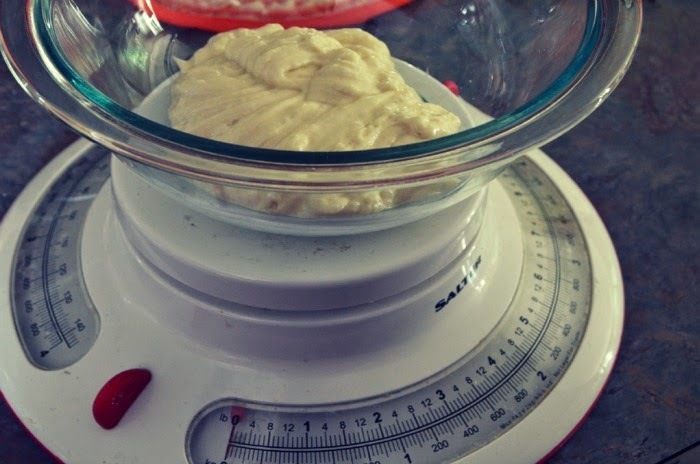 You really need a kitchen scale to do sourdough well. And it responds best to bread flour. I like organic but can't always get it, so just bread flour will do. But it can't be bleached! Bleach kills the natural yeast in flour. Another thing that will kill sourdough is chlorinated water. Chlorine kills bacteria, and will eventually kill the sourdough, although it takes several feedings to completely kill it. So you do need to use either filtered water or spring water . We're on a well out here and we have a water filtration/softener system that I love. I love not having to buy spring water or worry about what contaminants we're drinking from the city water supply. Now, how to get your hands on some sourdough. If you know me, I'll gladly give you some of mine. If you know someone else who does sourdough, ask them. Most sourdough bakers are glad to share. If you don't know anyone, you'll have to grow your own. This is a pretty simple process, but I've never done it. So I can't really help with this, but a quick Google search on how to grow sourdough should answer any questions. Here's a post from Nourished Kitchen that will help as well. Basically, you are trying to bring to life dormant wild yeast. You mix equal parts water and bread flour and leave it on the counter covered with cheesecloth for several days. You do have to feed it, and discard some, but eventually, it'll start bubbling and smelling like beer and wild yeast. Now that you have your sourdough, it's called your barm. This is my barm straight from the fridge. It's hungry, poor thing. So I need to feed it. First, I need to let it come to room temperature, for about an hour. 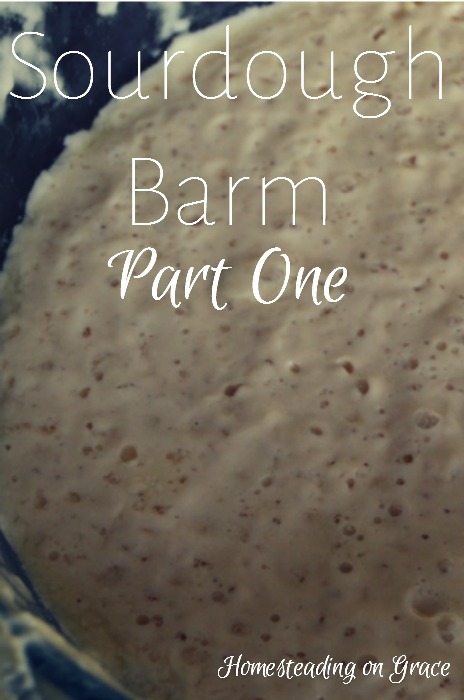 To feed your barm, you must give it equal parts water and flour. (Remember, unbleached bread flour and filtered or spring water.) This is when you need a scale. It doesn't have to be fancy, mine isn't digital. But this is the easiest way to ensure you are feeding your barm equal parts. Measuring cups are not as accurate as a scale. I discarded a bunch of this barm so that I could start over and not have a huge batch. Barm will do best if you feed it about 2 times what it weighs. But you can feed it as little as equal to what it weighs, and it'll be fine. So for example, if your barm weighs 1.5 ounces, you can either feed it 1.5 ounces of flour and 1.5 ounces of water OR 3 ounces of flour and 3 ounces of water. It'll feed faster on the less food, and need more food sooner, but if you only need a little that's the way to go. I feed my barm in the afternoon so that it will be ready to make a starter before I go to bed. It takes about 5 minutes total to feed it. I take it out of the fridge, let it sit on the counter for an hour, and then weigh the feed (flour and water) and mix it up. (Don't use a silver spoon. I use wood.) Then just leave it on the counter for several hours, covered with either your container's lid or plastic wrap. Feed your barm equal parts flour and water, all at room temperature. Avoid bacteria killers, like chlorine, bleach, and silver. Keep barm in the fridge when you aren't using it. The cold puts it to sleep. 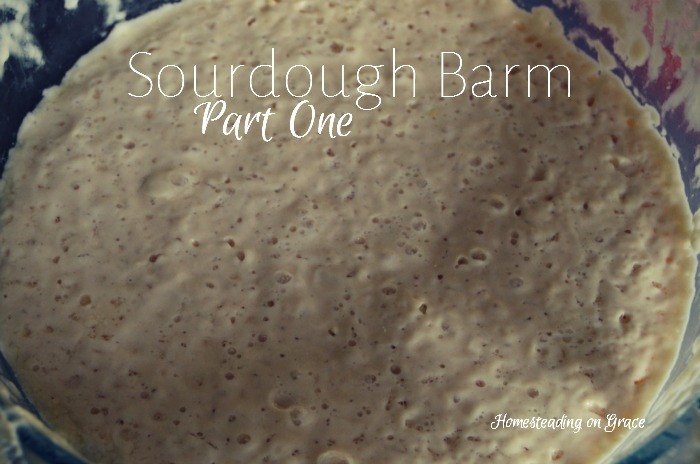 Part 2 will be the next step in baking sourdough bread, by making the starter. Stay tuned! Updated! Parts 2-4 are now completed! Obviously, I love talking sourdough, so talk to you me about your's! Thank you so much for this post! I've been wanting to start making sourdough bread but didn't know where to begin! Glad to help! If you are in the area, I can meet you sometime with some starter! That would be fantastic! Thanks! What brand of flour do you use? Any brand will do, so long as it's unbleached bread flour. I use whatever is on sale mostly, I like Gold Medal, but I also use Pillsbury. Each bag of flour, no matter the brand, is different from the one before. Some absorbs more water, some less, that's one of the reasons you'll need a scale. Just Facebook me when you want to meet! I've got the other posts in the works, so those will be up soon! I tried making a starter about a month ago, but failed. Totally my fault. I forgot to feed it. Poor thing. I felt so guilty! Also, I didn't realize how much yeast travels through the air, because I was also fermenting ginger and making ginger ale, so apparently the yeast I was trying to catch in the air (for my sourdough) came from the fermenting ginger, and I ended up with my flour smelling like ginger! Strange! I have since read that when you are fermenting several things in the kitchen, they should be separated. So, I am going to try making sourdough again, but this time I will keep it in a cupboard! :) I'll come back for part 2 when you post. Thanks! Oh my goodness! I didn't know that either. Ginger bread, maybe? I have read before that sometimes putting a little citrus juice or fresh grape juice will help prevent any bad bacteria from growing. I don't know if that help you or not, but there it is. Thanks for reading, I'll have Part 2 up soon! Thanks for reading Jes! Sourdough really is amazing. I have tried to make sourdough more than once. I have no problem with the starter. I get overwhelmed with how to use it once I have it. I really want to learn this though. I make my own yeast bread and would love to add sourdough bread to the list of things I can do. I'm going to read through all of your posts. Jennifer, let me know if you have any questions! I love talking about sourdough, and helping others make it possible.